This week we opened the doors to our own membership community – the Member Site Academy. Creating this site has been a labour of love for us over the past several months, and we’re extremely excited about being able to bring this awesome resource to membership site owners. While we’ve been involved in countless membership site and product launches with our clients – nothing quite compares to the experience of bringing your own project to market; so we thought we’d share some of the details of the build-up and launch of the Academy with you guys in the hopes that it will give you insight, ideas, inspiration or guidance for anyone currently planning their own launch. 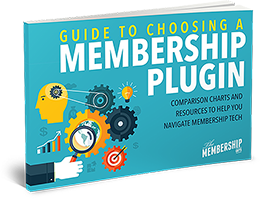 The initial idea for the Member Site Academy came around 10 months ago on the back of a growing number of comments from our clients about how little information or resources there were out there specifically for people involved with membership sites. What was out there was either outdated, irrelevant, overly technical or typical sleazy “Internet Marketing” guff. We’ve been building membership sites for years, and are heavily involved in some serious high performance projects – however had never had the time to create our own. So, 10 months ago we decided to make a concerted effort to create a resource for membership site owners. Efforts to reduce our client load in order to carve out some time to dedicate to developing the Academy proved easier said than done. Fortunately we had put up an opt-in form very early-on, and while we struggled finding time to create the Academy we were able to start regularly blogging on the subject; so we managed to build traction and – more importantly – collect email addresses of people interested in the Academy. We also established a private Facebook group dedicated to membership site owners, and included an invite to this as part of our free optin – so we were simultaneously validating the need for our idea, conducting research and building an audience with relatively minimal effort. By this point momentum was building, but so too was the pressure to actually get things moving with our plans for the Academy. We’d been intermittently planning and recording course material as and when we could, but weren’t progressing as quickly as we’d like. So, we made a decision to drastically reduce our client intake and dedicate our attention to making the Academy a reality. Now although we’d been blogging, as well as producing podcasts and videos for our Youtube channel – and as a result our list of email options had been growing steadily – we knew we needed to do something to “activate” people on our lists. To this point we’d only been sending them blog content every couple of weeks, so we needed to ramp things up a bit. The idea we had to do this was the creation of the “30 Day Membership Challenge” – a step by step email course delivered over a period of (surprise surprise) 30 days – aimed at helping people through the process of planning, building and launching their membership site with fairly basic but useful steps. Well, I say basic, because that’s how they started. We should have known better, as both Callie and I are major perfectionists we ended up putting a lot more into the emails than intended – which was obviously great for people doing the course, but meant it turned into a much bigger task than originally planned. The ‘challenge’ was extremely well received, trebling our email list and garnering a large amount of very positive feedback. Running the challenge also gave us our ‘deadline’ for launch – which we wanted to coincide with the end of the challenge. Ideas and intentions are nothing without action. Stop talking, start doing; even if it means committing to a short-term sacrifice in order to get things done. Collect leads early. As soon as you have a picture of what it is you’ll be creating, find a way to start collecting email addresses of people interested in what you’ll have to offer. Do whatever you can to build momentum. Even if circumstances prevent you from taking the action you need to make your site a reality right away; you should start working on building an audience, creating and publishing content and establishing yourself as an authority. This is all extremely valuable long-term. We’ll be back with the second part of our journey in just a few days. In the meantime, we invite you to check out the Member Site Academy for yourselves; and see why it’s an absolutely essential resource for anyone planning, creating or growing a successful membership website.